Okay, but is Cole a time traveller? Cole Sprouse has a doppelgänger. No, we're not talking about Dylan Sprouse, who obviously bears a strong resemblance to the Riverdale star. We're talking about a historical doppelganger from the 1800s. I can't believe it's 2017 and we've only just clocked on to the fact that Cole Sprouse and young Louis Vuitton are apparently the same person. A few people have observed that Cole and Mr. Vuitton look remarkably similar. Just in case you're somehow not familiar with Louis Vuitton, he was a French fashion designer and founder of the iconic luxury brand which still bears his name today. The resemblance probably strikes you as weird, but not THAT weird, right? Well, strap in. It gets weirder. 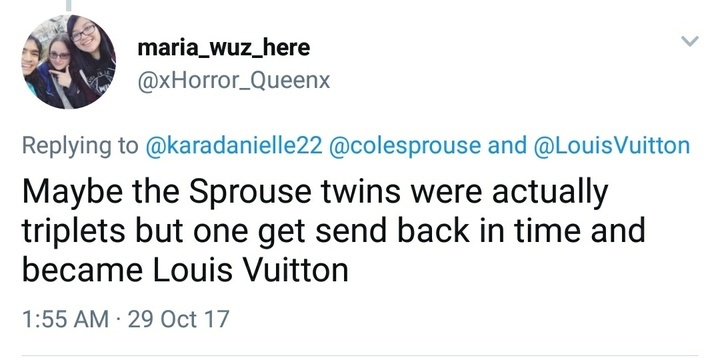 Louis Vuitton and Cole Sprouse share the same birthday. They're both Leos born on August 4. Louis was born August 4, 1821 and Cole was born August 4, 1992. 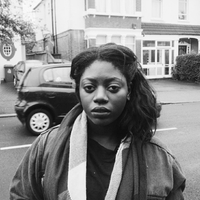 Now, this is blatantly just a set of unrelated facts, but we love a cosmic coincidence. So far this is the best theory about why Cole and Louis look so similar. Cole, be honest. Are you a time traveller?